Most of the resort’s 94 superior rooms have been conveniently arranged in hamlet clusters, making it the ideal booking option for both large and small groups travelling together. 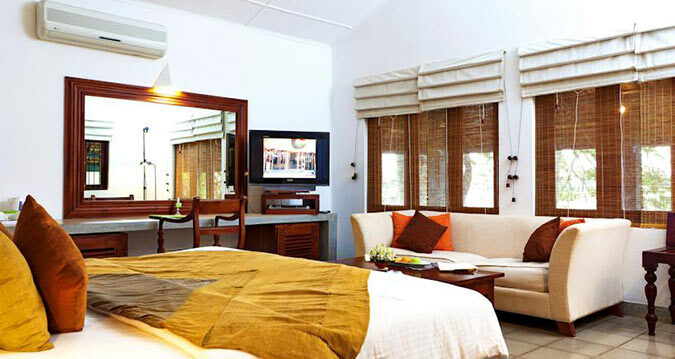 The superior rooms are extremely popular, providing the true art of village-style living with little luxuries to boot. Picture yourself enjoying a morning coffee on your veranda and waving to your neighbour on the other side. Each room is tastefully furnished with generous amenities and the exteriors blend in harmoniously with the resort’s natural surroundings – luckily there’s a footpath to guide you back to our Sigiriya hotel in Sri Lanka, so you’ll never get lost here in our village resort. Stayed here on a tour of the island for a couple of nights, arrived just as we where starting to tire badly so it was a welcome oasis, beautiful setting and ideal for a day chilling by the pool, lovely grounds to stroll around and relax. 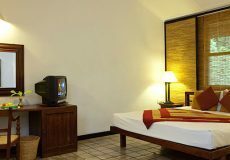 Rooms where clean and well equipped, very comfortable and cool, staff at the hotel where fantastically helpful and friendly, nothing being too much trouble for them, the food was very good with great selections for both breakfast and dinner. 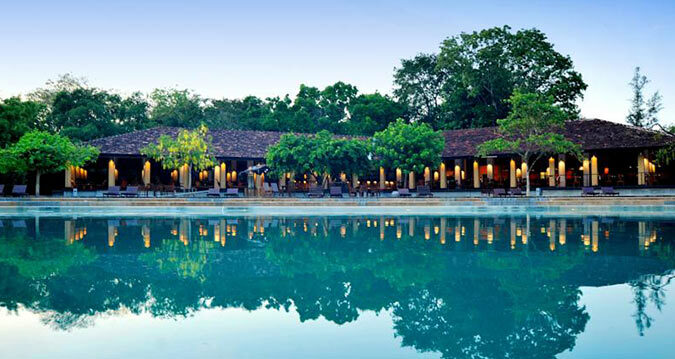 The hotel has beautiful surroundings being situated on the banks of a lake and you can relax in the gardens watching elephants and monkeys. 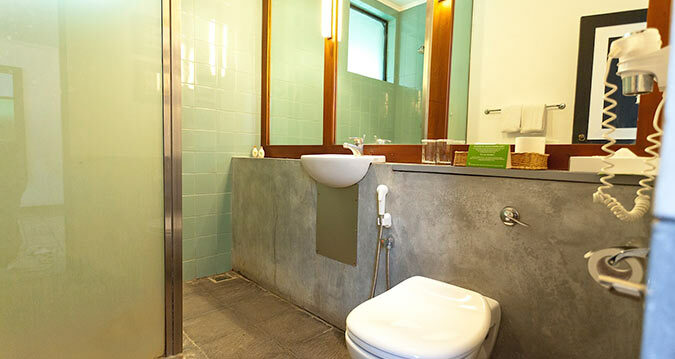 Our room was good with comfortable beds, all the facilities you would expect and lots of lovely clean towels. There was a good choice of meals in the restaurant and the staff were friendly and welcoming. This hotel at Habarana is idyllic. For me it creates a fond nostalgia for Skukuza in Kruger Park South Africa, with its individual villas along tree-lined lanes radiating out from the open walled dining area, lounge and reception. Stunning pool surrounded by lush trees, the lake, and the normal complement of monkeys, squirrels and chipmunks. Lovely villas, excellent quality food, and an environment away from it all to relax in. Also within driving reach of many historical attractions. Warm, friendly staff. Definitely recommended. We strive to combine the air of a traditional Sri Lankan village with luxury living to give you a very different take on the resort experience here at Habarana Village by Cinnamon. We are the doorway to myriad historical and natural sites – this is why staying here becomes the pinnacle of leisure, quiet times and personal exploration. Habarana Village by Cinnamon is located 176km from Colombo with an atmosphere of times gone by where living was done at a simpler pace and smiles were aplenty. 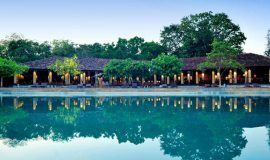 In fact, the resort is designed to reflect the rural environs and simplicity of village life, with clusters of homely chalets dotted across acres of garden that resemble the simple houses found locally. 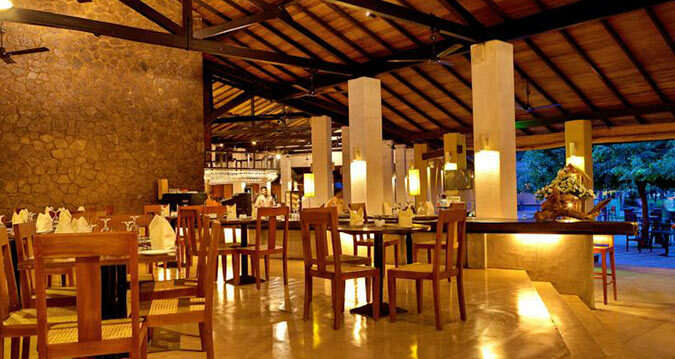 The cuisine is wholesome and delicious, with fresh veggies gathered from neighbouring villages. The resort’s philosophy is all about sustaining life, living in harmony, and enriching its surroundings. 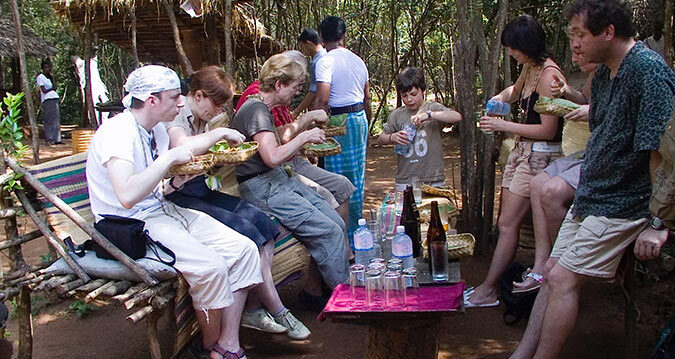 Come to Habarana Village by Cinnamon where we’ll immerse you in our luxury experiences and our village-way of life.